Divorce is a family matter that is undesirable and can in many circumstances become uncomfortable for every family member involved. Working out difficult issues with the help of a mediator can help avoid a lot of anguish and hurt from children and can also save you a lot of time and money. Most importantly, working out your issues will prevent your children from living through the unkind spectacles of fighting over the irreconcilable differences that come with divorce. Divorce means legally separating from your spouse. It comes with responsibilities such as child support and alimony as well as the distribution of property owned jointly during the marriage, visitation rights, and many others. When the divorce legal order is issued, the judge rules are addressed as well as the way they should be met. The distribution of property can be a complicated portion of the dissolution of a marriage. Some of the property may include cars, debts such as credit cards and loans, investments, retirement benefits and others. Divorces can be devastating to a family; this is why it is essential to contact a family lawyer that will take the time to help you explore your options and reach a conclusion that is in the interest of you and your family. The divorce settlement can be modified if one of the parties is not happy or if there were factors that were not included in the first settlement. Divorce settlements are established in court by a judge who will clearly define the established factors of the alimony, child custody, and child support as well as the division of joint property. In many cases, these agreements happen to be simplified meaning both parties agree to the terms; but if any of the two parties are not satisfied with the determination of the divorce, then the judge will rule the judgment of the divorce based on the facts. Sometimes the agreement is not fulfilled by one of the parties, and in this case, the person concerned has the right to ask the court to enforce their rights and obligations under the agreement. When a breach of divorce agreement in Miami occurs, indeed you are going to need legal representation to take the case to the family court. How to Enforce a Divorce Agreement? To enforce a divorce agreement in Miami, you need to address a family lawyer or specialist to help bring the case to court through a legal request, which will show that the former spouse is violating the arrangements set out in the divorce decree. You may need people to testify on behalf of your demand. All necessary documentation contained in the settlement is brought to the judge along with the parts of the agreement not being met. The person who fails to comply with this agreement will explain the reasons for noncompliance. The judge in these cases may accuse of contempt for intentionally failing to comply with an order imposed. If the defendant fails to appear before the court, the judge will send a court order to appear in court officially. If the defendant still fails, then he/she will be charged with contempt. You will need to provide financial assistance to the offended person for the time determined by the judge. Visitation rights to minors are an obligation of the father or the mother to the son or daughter, and the judge will decide the schedule to visit the child. Visitation rights are taken very severely by courts since it is considered to be in the best interest of the child to share time with both parents. Communication in regards to the visitation order with the other parent is crucial. You should discuss your dissatisfaction with visitation issues to the other parent calmly and suggest actual ideas to solve the problem. It is vital to respect the visitation time of the other parent by the custodial party. A refusal of the visitation rights by the custodial parent is illegal. This incident is known as the frustration of child visitation rights. That could cause the court ordered child custody to be changed and the custodial parent held in contempt of court. Changes should be agreed on by both parents. The judge will revise the new schedule and will make a decision based on the best interest of the child. 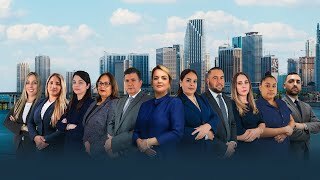 In divorce proceedings, it is very imperative to have the family lawyers in Miami because they provide representation for difficult legal processes. Family laws are very strict, so it is necessary to comply with the agreements imposed. Divorce attorneys recognize the rights of each at the time of marriage dissolution. If you have children, bills or other issues that request your attention, you need the advice of an attorney. Gallardo Law Firm in Miami will be able to represent clients with a wide range of matters regarding marriage, child support, child custody, divorce, alimony and any other issue related to family law. Divorce orders are easy to break. Family law attorneys will help you maneuver the realities of divorce, and achieve a settlement that conserves your rights. They will deliver compelling strategies geared toward achieving the resolution of your case. Also, we have an online representative on our website, advising and informing prospective clients of their rights. Our attorneys are highly qualified in various types of family law cases. A divorce can very easily turn out to be a painful and overwhelming process for many. At Gallardo, we will find the answers to your particular case; we take time to understand how your issues have affected your family and your life. Is it necessary that the other person who signed the divorce decree with me be informed of a change in my financial economy? Yes, it is. The agreement for the divorce decree was established based on the information obtained at the moment of divorce. The judge states to report any financial changes to the court as it happens. Why do you need a family lawyer in Miami to enforce a divorce decree? Family lawyers in Miami will help in revising divorce settlements established. When you sign the divorce decree, it is mandatory to comply with the terms thereof. Ignorance can bring future problems if you violate any order. Failure to comply with a court order can lead to contempt and thus to jail. It is therefore very important that you contact one of the attorneys in Gallardo Law Firm to represent you with your legal issues. What are the reasons a person may have for wanting to modify the divorce decree? What if my ex-wife refuses to let me continue with the visits to my children? Visits to children is one of the rights in the divorce agreement. If your former spouse does not allow you to visit your children, you need to start a legal proceeding to enforce your visitation rights. You will need to have the dates of the visits well documented to prove it. Can bankruptcy eliminate my problems of violation of the divorce decree? Although bankruptcy removes the financial troubles of individuals, does not free from responsibilities to fulfill the obligations they have following the dissolution of marriage. Therefore bankruptcy does not eliminate the problems of non-compliance by divorce so you might be charged with contempt. What consequences can bring a breach of the divorce? By violating the divorce decree the individual is disobeying a direct order from the judge and in turn is committing a family crime, because that attitude affects the whole family that depends on the help that it can offer. Enforcing a divorce settlement is one of the tasks run by family lawyers, so it is important to report the incident to the appropriate authorities.